Shuji Nakamura, a Japanese scientist, has been working on laser lights for automobiles over the last 5 years. His company, SLD, is working on a new light design which is 10 times brighter than LEDs and more cost and energy efficient than them too. Most people don't turn on their car's headlights and think, I wish they were brighter. Shuji Nakamura is not most people. The Nobel Prize-winning illumination scientist has spent the past five years developing a laser-based lighting system. His company, SLD Laser, says the new design is 10 times brighter than today's LED lights, capable of illuminating objects a kilometer away while using less power than any current technology. 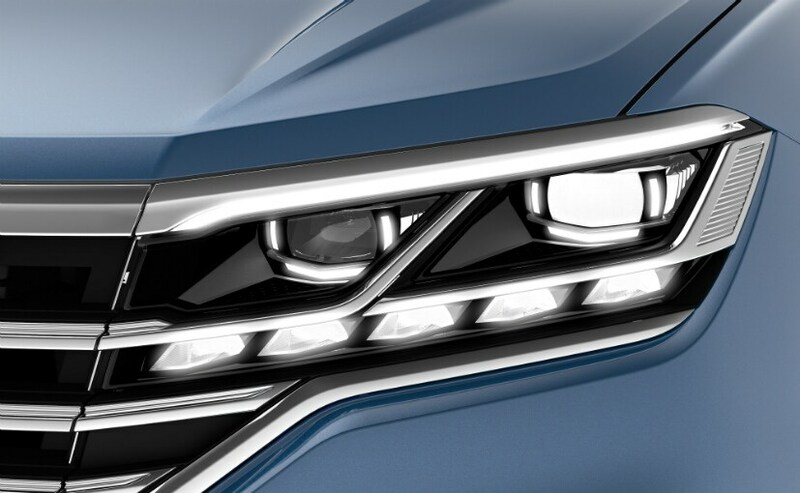 And unlike a regular, dumb headlight, the laser can potentially be integrated into current and forthcoming driver-assistance systems. As cars move toward more enhanced and powerful semi-autonomous systems, which rely not only on constant cloud computing for their decision-making but also on clear forward "vision" through their cameras and sensors, light and data transmission will have huge implications for driver safety. SLD's laser can also transmit data via Li-Fi-which is similar to Wi-Fi but utilizes light and transmits data faster. The company has yet to fully develop this capability but says it's in the works. During a night-time demonstration at the Apex OHV Recreational Area outside Las Vegas, we toyed with flashlights built with the new technology. The precise beam easily illuminated the craggy edges of distant mountains. A light bar mounted to an off-road truck brilliantly exposed the washboard ruts, sandy hills and gravel beds during a fiendish blast through the desert. All of this luminosity leads to an obvious question: How are these devices, which have the approximate wattage of the klieg spotlights commonly found outside world premieres, supposed to be safely installed in the front of a car without inadvertently blinding oncoming traffic? "Because of the point source nature of the beam, you can pinpoint the light," said Nakamura. "You can even shape it dynamically on the fly, so the beam will go down, or to the right, away from the eyes of motorists." While the new laser headlights will begin appearing later this year as original equipment on some vehicles in Europe-including the BMW M Series and 5 Series-it may be years before they make their way stateside. SLD has developed something of a workaround for the home market while it lobbies U.S. regulators to change automotive lighting standards. "We are working instead on what we call a high-beam boost, where we add laser light to the high-beam headlights in a car," Nakamura said. "Though we have to tone down the brightness for the American market, we are still three times brighter than LED lights." 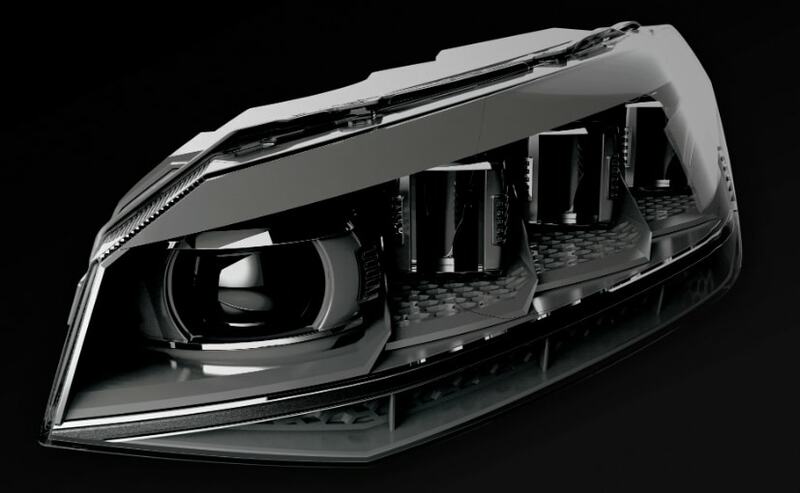 The company is also developing products for off-road vehicles, interior automotive lights and daytime running lights. In the interim, Nakamura will be licensing the technology in other products for the U.S. market: home lighting, stadium lighting, photography and adventure applications, to name a few. But he remains certain that laser lights will eventually triumph, just as LEDs have. "Soon, laser will become the premium option," said Nakamura. "And it will eventually find its way down into the mass market."